BlackBerry Curve 9360 Price Philippines Php 16,990 - It's Official! Release Date is Today! TP Friends, I'm glad to let you know that the BlackBerry OS 7-powered BlackBerry Curve 9360 with suggested retail price of only Php 16,990 is now officially available in the Philippines through RIM's carriers and authorized retail channels! So if you will, let your fellow BB fans know by sharing this post on Facebook and Twitter. 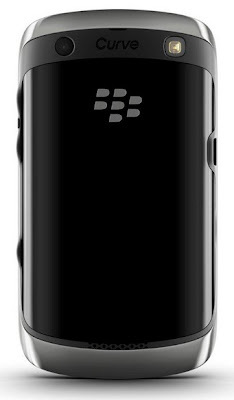 The youthful BlackBerry Curve series has proven to be quite popular with Filipinos who want to be socially connected. With BlackBerry 7 and the latest release of BBM (BlackBerry Messenger) which extends the real-time BBM experience to a range of other apps, as well as a highly refined and integrated quite of phone, email, messaging, and social apps, BlackBerry Curve 9360 delivers the world's best mobile communications and social experiences. The new BlackBerry Curve smartphone is slim, stylish and simply beautiful. It is ergonomically designed with a comfortable and iconic keyboard for fast, accurate typing and an optical trackpad for easy, one-handed navigation. GPS and Wi-Fi support are also included, as well as a 5MP camera with flash and video recording so that memories can be captured and instantly shared on social networks. The microSD/SDHC slot supports up to 32 GB memory cards for additional media storage. 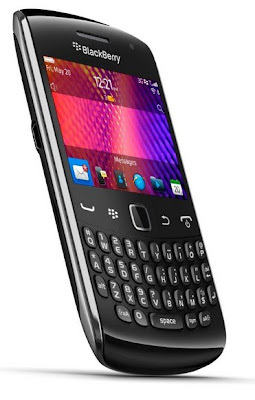 In addition to supporting the new BlackBerry 7 OS, the BlackBerry Curve 9360 smartphone features a range of powerful hardware enhancements including an upgraded processor and display, more memory, and built-in support for NFC (Near Field Communications). NFC is a new technology that is enabling many exciting capabilities, including the ability to pair accessories or read SmartPoster tags with a simple tap of the smartphone. BlackBerry 7 introduces a next generation BlackBerry browser which combines the dramatically improved performance of the advanced WebKit browser engine with the hardware enhancements in the new BlackBerry Curve 9360 smartphone to deliver a significantly faster, more fluid web browsing experience. Additional enhancements to this next generation BlackBerry browser have also enabled smoother navigation and optimized HTML5 performance for incredible gaming and video experiences. "The new BlackBerry Curve 9360 is a stunning, easy-to-use smartphone that will appeal to Filipino customers who want to stay socially connected. The Curve family of smartphones has been very popular in the Philippines and we expect the new BlackBerry Curve 9360, with all of its major enhancements, to be well received by new customers as well as existing BlackBerry Curve users looking to upgrade," shares Hastings Singh, Vice President of South Asia at Research in Motion.